Welfare plays an important role in our society, allowing people in need to get back on their feet and preventing poverty from overtaking the lowest of the low in our society. Welfare fraud, on the other hand, undermines all of those benefits and casts a shadow of doubt across the entire system. While it’s impossible to catch all forms of welfare fraud, it’s important to ensure that the funds appropriated for these purposes are used on those who truly need them. 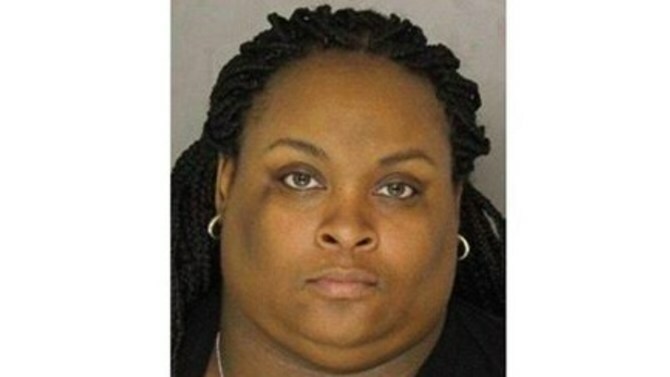 There is one less welfare fraud artist out there now though after police arrested Sabrina Strothers of Pittsburgh, Pennsylvania. The 23-year-old committed some of the largest-scale welfare fraud in years by pretending to not only have one or two kids; she pretended to have had triplets back in 2008. She managed to evade detection for years and years, all the way up to this January. A cousin of hers apparently became fed up with her free ride, and soon Sabrina was facing far more than free checks every month. Investigators checked out the tip from Sabrina’s cousin and found that her “children” didn’t have legitimate social security numbers at all. In fact, their numbers indicated that they were born in 1887, 1945 and 1960. She has now been charged with two counts of forgery and making false statements in a welfare investigation for each child, and a further count of theft by deception. Her charges would have been less severe had she not lied to investigators on several occasions. Strothers was first contacted by the Office of the Inspector General last year, and she told them that the kids lived with their father in Georgia. 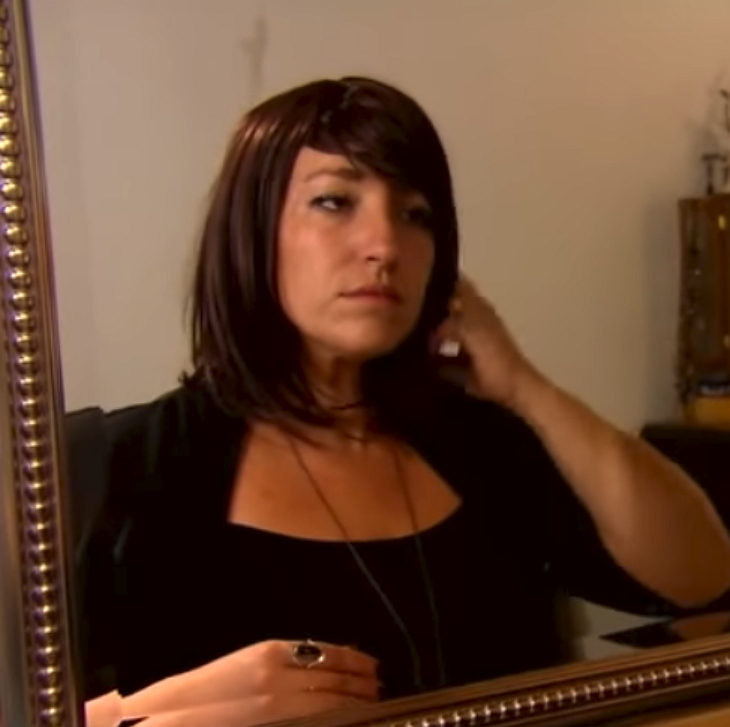 When asked for proof like an address or phone number, her story crumbled. She soon confessed to her crimes and was promptly arrested. Thankfully, there were no actual kids for the investigators to worry about – only a fraudulent criminal. The fraud was described in its entirety as $36,269 in food stamps, $90,000 in medical care and $2,000 from a fund called Temporary Assistance for Needy Families. Imagine how many needy, struggling families that tax-payer money could have gone to help over the years! For some reason, her first appearance in court won’t happen until several months from now. Until then, her case will remain up in the air and her fate undecided. “If found guilty of committing welfare fraud, a defendant must make full restitution of the overpaid benefits, can receive a sentence that can include community service, probation or incarceration, pay costs and fines to the court, and be disqualified for a period of time from public assistance benefits,” described a statement from the Inspector General’s office. When it comes to public benefits, we need to make sure that the money earmarked for needy families actually makes it to those who need it – not fake families like this one. What do you think we can do to improve the welfare system and prevent fraud like this? If your car has broken down and you don’t have the time or means to call for a mechanic, chances are that you’ll pop the hood open to try and solve the issue yourself. But for those with long hair who don’t quickly pull it back in a secure ponytail or bun, it could be a fatal decision. Alon Abare learned that lesson the hard way in a freak accident. Now, she is doing her best to educate others so they won’t make the same mistake she did. When her car broke down, she couldn’t afford to call a mechanic, so she opened up the hood and bent down to see what was wrong while the car was running to see what was wrong. Suddenly, Abare’s head was yanked forward and slammed against the car, and her entire head erupted in excruciating pain. She had no idea what had happened, and all she could do was scream. Luckily, Abare’s four children heard her screams and rushed to find her. If they hadn’t been around or simply hadn’t been close enough to detect her cries, Abare could have passed away from her injuries. What had happened? Abare’s long hair had gotten caught in the car’s fan belt as it ran, and it yanked her towards the car engine. 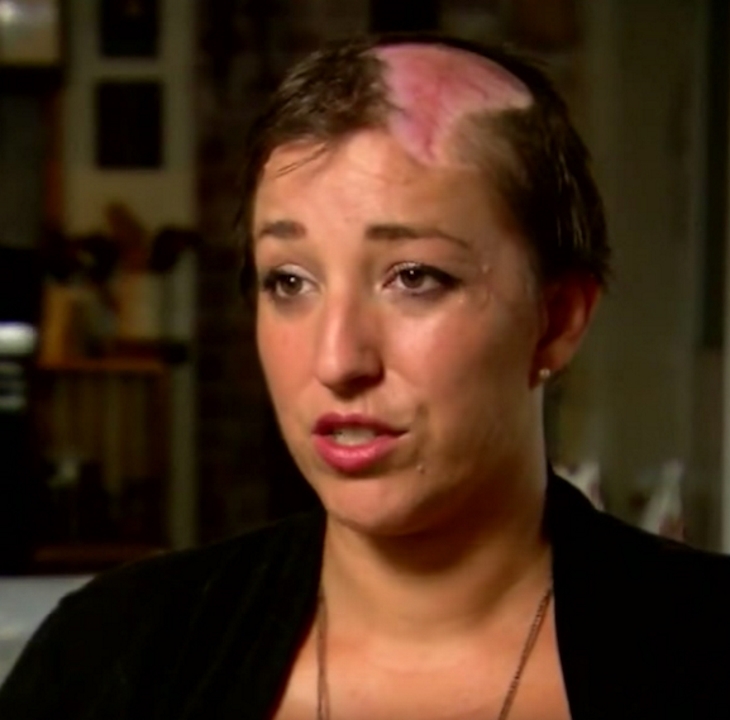 The extent of her injuries is quite severe, and it’s lucky that she got to the hospital on time. Watch the video to find out exactly what happened. In a tragic accident, Hannah Simmons, 23, her daughter A’lannah, 9-months-old, and her friend Lauren Buteau, 28, were all killed when the car they were in veered into oncoming traffic. The accident blocked traffic for some time. In the line of traffic was Anisa Gannon, who was on her way to work. 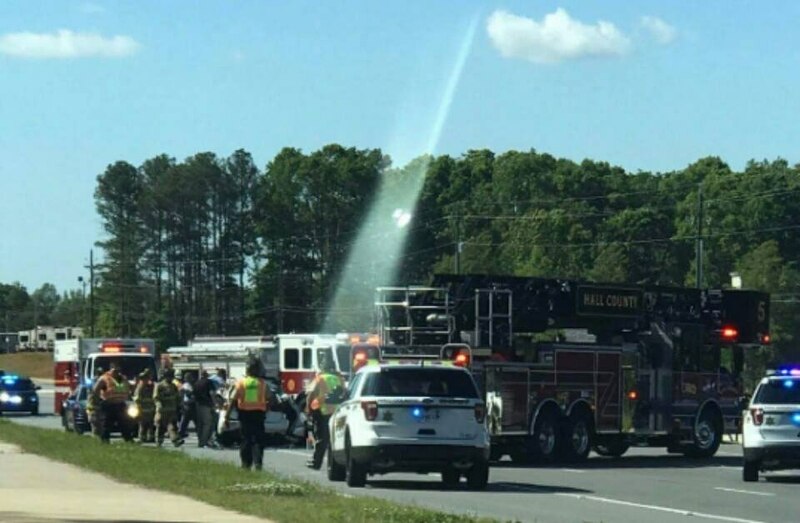 She took a photo of the accident to show her boss the reason she wasn’t going to be at work on time. The photo she took did so much more! It actually provided comfort and peace to the families of those who had perished. When Anisa looked at the photo later, there was a beam of golden light that seemed to be shining down on the scene. Hannah’s mom, Judy Simmons said the photo gave her the sign she had hoped for that her daughter and granddaughter were in Heaven. Working at the maternity ward in the hospital is exciting. You get to see all the little babies who share the same birthday. It’s rare for a child to have the same birthdate as their mom or dad, but consider how unlikely it is to share a birthday with your parent and a great-grandparent too? 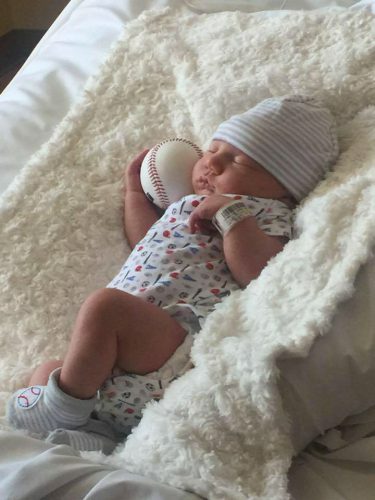 Turns out, there’s a 1 in 33,000 chance that will happen, but baby Beauden not only has the same birthday as his dad, but also of his great-grandfather! How cool. And little Beauden arrived much earlier than his due date too… presumably so he could share the special date! 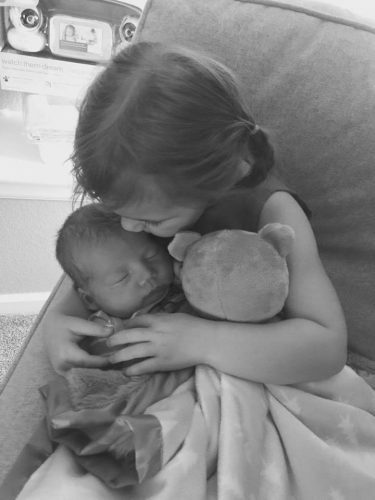 Beauden’s mom, Jordyn Eppard, was rushed to the hospital when baby decided to arrive early, requiring an emergency C-section. Beauden Matthew James Eppard was born weighing eight pounds, 11 ounces, a healthy little guy. But then they realized that Beauden not only has the same birthday as his father, Connor James Eppard, but also shares the date with his grandfather before him, James Elmer Morrisette. How unlikely is this occurrence? The odds that Beauden would have the same birthday as both his father and great-grandfather are 33,374 to 1. 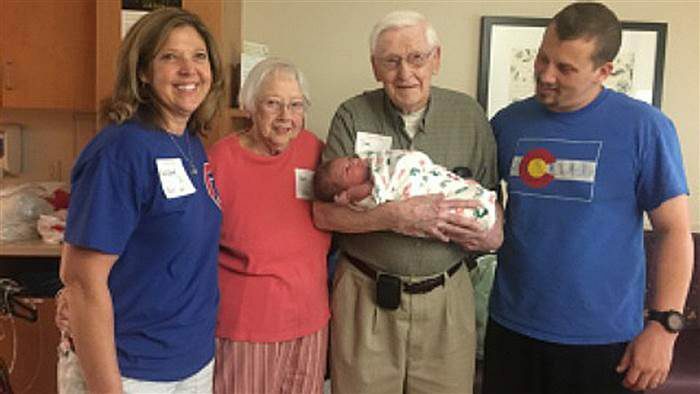 Beauden was born 17 days early to snag that magical date he now shares with dad and great grandpa, July 1. Given that three people now share the same birthday, the family will add little Beauden to their annual joint party on July 1. You know a celeb is big when they have their own Christmas song or music video. Mariah Carey is a great example of someone who’s Christmas song went well beyond her personal popularity. Her Christmas hit, “All I Want for Christmas is You,” still remains one of the most catchy and well-loved Christmas songs, which is why you can still hear it blasting from speakers from the day after Thanksgiving until the day after Christmas. Since Carey’s legendary Christmas song, there have been several celebs making festive music throughout the years, and one of the latest is a duette done by Gwen Stefani and her boyfriend Blake Shelton. The couple is well known for their very opposite music genre’s…Gwen for punky pop lyrics and Blake for his class country melodies, but there newly released Christmas music video is turning heads for cute and sassy nature. It’s clear that this couple is spreading the word about their love for each other, as the lyrics and their chemistry in the video is both fun and sweet. The video, “You Make Me Feel like Christmas,” showcases both of the singers’ styles. You can hear Shelton’s twang come through during his section of the song and Gwen spices it up with her seductive tone. They can be seen driving in the car with a newly selected Christmas tree between them, as they have a little playful banter. Then a gaggle of kids wearing Santa costumes appears between them and in front of them, dancing happily. The lyrics also make it clear that they are in his relationship for the long haul and they can be heard thanking each other in sing-song fashion, while also telling the story of how they each thought love was done for good until of course, they found each other. Throughout the video, Stefani can be seen using magic to make Christmas decor and festive lighting appear, while Shelton clumsily attempts to crack open a walnut. “I sent Gwen a couple of lines of the song. She took it and made the song what it is. I just sent her an idea. She tries to say that I co-wrote it, but I just sang on it,” said Shelton. These two are a match made in heaven and their voices blend so well together, we can’t help but hope for more of these fun duets. 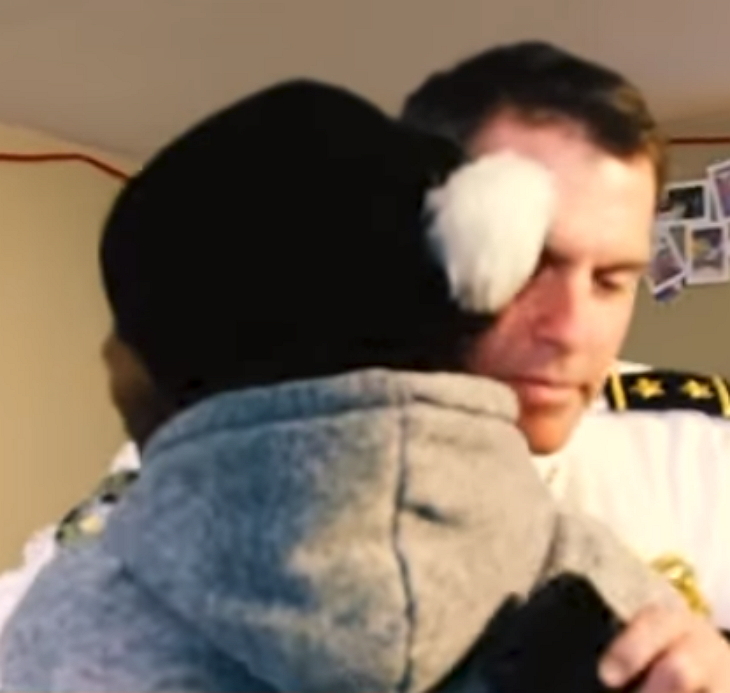 A cop who pulled a woman over for a routine traffic stop ended up providing a life changing experience for Ebony Rhodes. When the Atlanta police offer asked Ebony for her license and registration, he discovered that both were expired. She also didn’t have insurance. The officer had to impound her car and have her arrested for the violation. 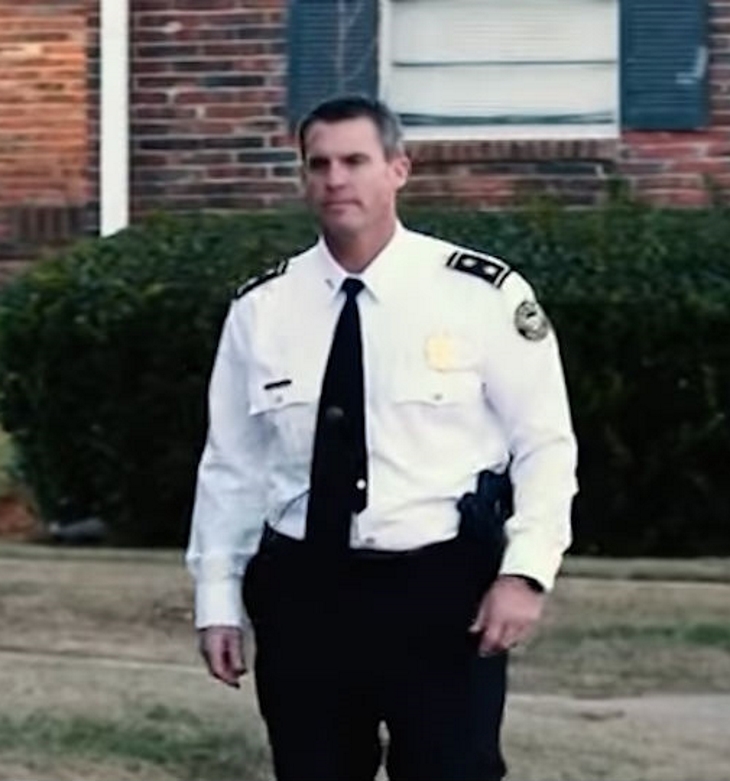 Ebony would never have expected her luck to change in such a dramatic way and she has Atlanta Deputy Police Chief Jeff Glazier to thank for the helpful turnaround with her life. Chief Glazier received a call while Ebony was being transported to the police station, as an officer searching her vehicle found bags of personal belongings and clothes in the car. It was enough of a red flag for the officer to report the finding to Chief Glazier, as it was believed it was most of Ebony’s belongings crammed into the car. She revealed that she was homeless and living in the 20-year-old Buick Regal with her four children for six months. Ebony is a single mom who worked at Walmart and another job to make ends meet, but didn’t have enough money for a place to live. She also suffered from a chronic blood disorder which caused her to miss some work days and, consequently, took a hit to her paycheck. She was devastated by her situation and feeling that she was failing her children, but did the best with what she had. 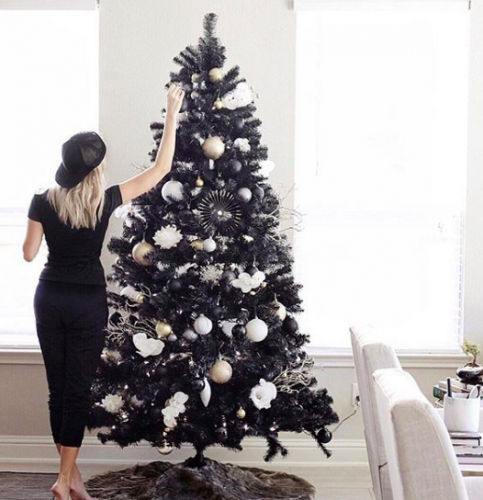 Christmas trees have been fairly basic throughout the years, but this year a new trend is emerging: black Christmas trees. No doubt if you display one of these in your house you’ll be bucking with tradition and riding a trendy new wave. 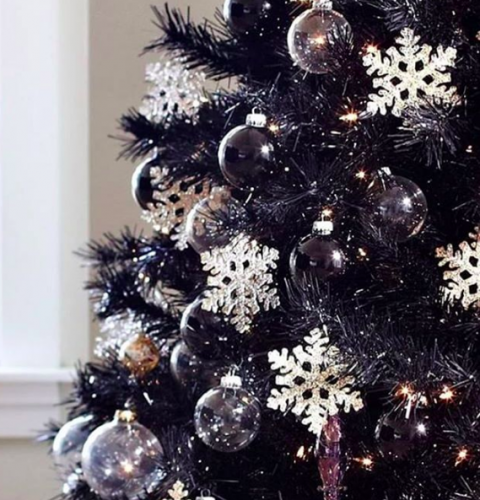 Here’s the thing: despite being not your typical holiday tree, the black option makes for a very striking and beautiful Christmas display. 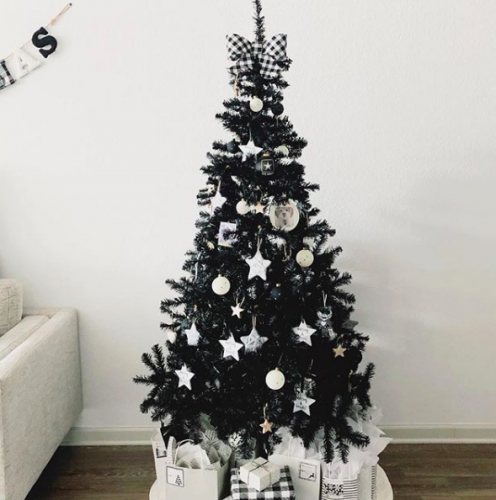 While it’s not that traditional, a black tree isn’t as visually startling as a white, pink, red, or silver tree, which many people choose to display. In fact, black Christmas trees look more like a very dark green in some instances. 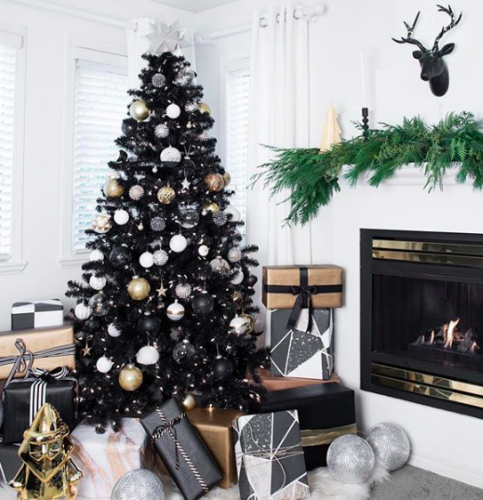 The black trees are dramatic, for sure, but also allow for a striking contrast when paired with Christmas lights and silver, white, or gold ornaments. Since it’s black, it honestly goes with anything, much like a little black dress is a staple in any woman’s closet. A survey for the American Christmas Tree Association last year found that 81 percent of the estimated 95 million American households with Christmas trees will put up an artificial one rather than a real tree. Consumerist further notes that this is in response to higher prices for fresh trees due to droughts, shortages, and fewer growers over the past five years, as well as being better for the environment. While many people get a bit of sticker shock over the cost of an artificial tree, as some can be quite steep, keep in mind that these trees get years and years of use and eventually pay for themselves. A real tree is a one-time use each year. The choice, of course, is a personal one, despite the ongoing debates about why a real tree is better than a fake one… or vice versa. How popular are the black trees? A spokesperson for Treetopia, a website that sells colorful Christmas trees, told Good Morning America that the sales of black trees are up 16 percent over last year. As parents and grandparents start to collect Christmas lists from the young children in their lives, they’re bound to see a lot of requests for electronics and toys. Children love keeping up with the Joneses when it comes to video games and the latest toys. And while toys and games are fun, children these days seem to be spending a bit too much time and energy in the imaginary world a video game designer made for them – rather than using their own imaginations to create worlds of their own. One loving grandmother came up with a great idea to spark her grandkids’ imaginations. Because she knew that the kids were going to be getting all their electronics and games from other family members, she decided to get creative with her gifts for Christmas 2017. Because grandma Darlene Howell Waller wanted to spend more time with her grandchildren while they weren’t glued to their video games or the internet, she created a special gift that promised something children these days hardly ever get to experience – adventure. Grandma Darlene’s “adventure boxes” proved to be massive hits among the kiddos. She didn’t want to give her grandchildren more toys, so she crafted her own boxes with hand-written notes and the promise of a Treasure Island-sized adventure. Memories with family members are much more valuable than material objects. Toys and games come and go throughout a person’s life, but memories with parents and grandparents can never be replaced. That’s why they’re the best kind of gifts for kids. Grandma Darlene found a treasure chest in her favorite craft store and decorated it herself. Did we mention that she is very skilled in arts and crafts? 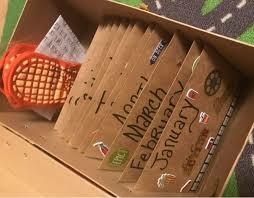 Within the treasure chest, Grandma Darlene left envelopes that included one for each month of the upcoming year. When the children opened those up, they discovered that each one included an adventure the children could do together. Are you looking for a creative Christmas present to give to a young family member this year? Take a page out of Grandma Darlene’s book. 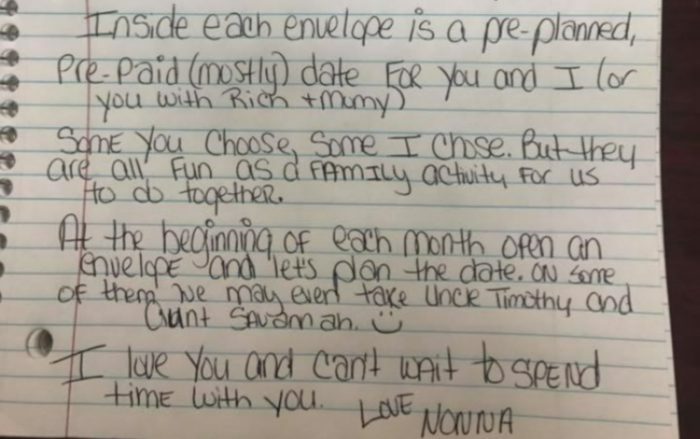 Her adventures not only promised to be fun, but they also kept her grandchildren eager every month because they had to wait until the first of that month to open its envelope. It’s a gift that keeps on giving every month of the year. Now, this is a gift Grandma Darlene’s grandkids would remember forever. What do you think about the creative Christmas gift? Would you ever do something similar? Tracy’s Dogs is an incredible company founded by Tracy Whyatt in 2011. It all started when Tracy and her husband Scott went on road trips around Texas and saved dogs from kill shelters to relocate to new homes in other states. And the rest, as they say, is history – 3,700 dogs have been saved so far! Every month, Tracy’s Dogs teams up with PetSmart and shows up in the PetSmart parking lots of multiple different states once a month with their giant 32-foot trailer in tow. What for? It’s to unite dogs with their soon-to-be owners and new families! After potential dog adopters are matched with pups, they gather at the parking lots on the assigned dates and wait to meet their dog for the first time. This video shows exactly what happens during one of these adoption runs! All the new dog owners take their pups into their arms for the first time, shedding tears of joy and hugging their little furballs tightly. What a touching scene! Have you ever seen so many dogs adopted at once? In common situations or even in cartoons, predators and prey do not get along with each other. Some may say the predator and prey instincts are the reason. However when they both have similar backgrounds, how the interact with one another will astonish you! 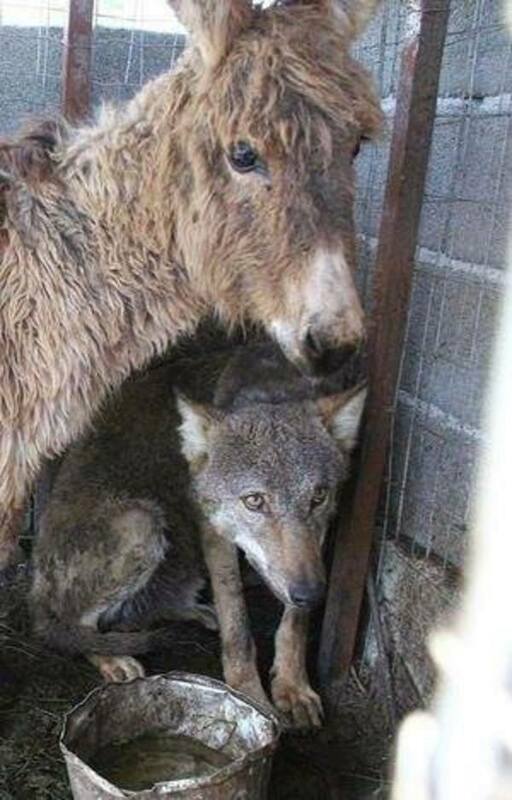 Like this wolf and donkey shown below. 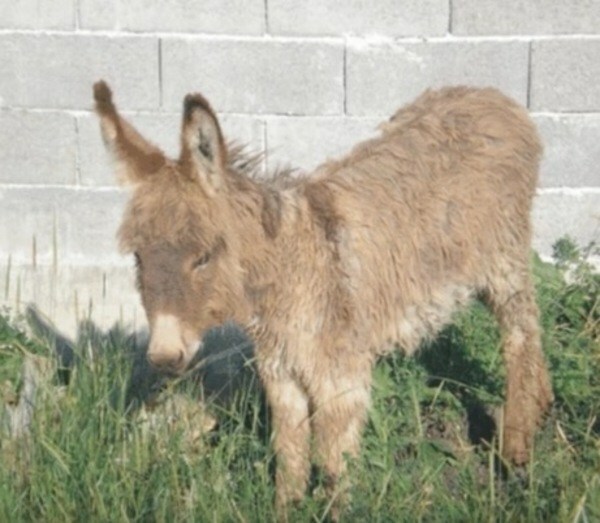 This donkey was deemed to be unsuitable for work by the local villagers in Patok, Albania . 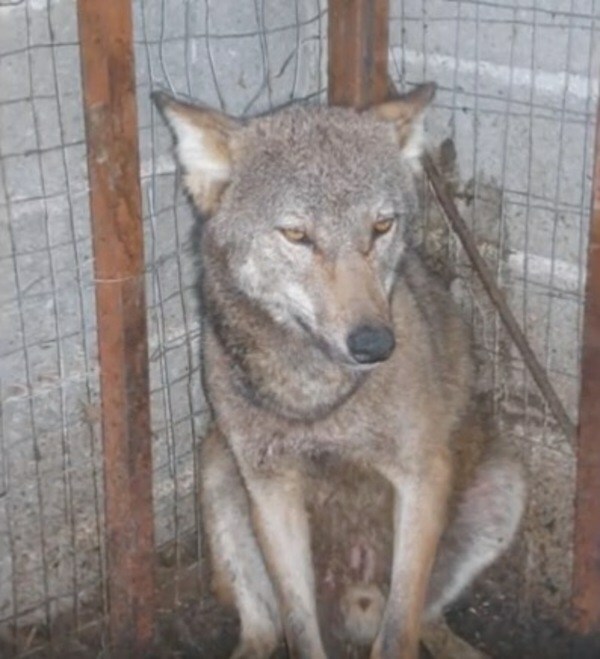 He was locked up in a cage with a wolf, which they had managed to catch. They thought that the donkey would die in the jaws of the wolf! However, the wolf did not even try to attack the donkey at all! Instead, the wolf befriended the donkey and they became good friends!